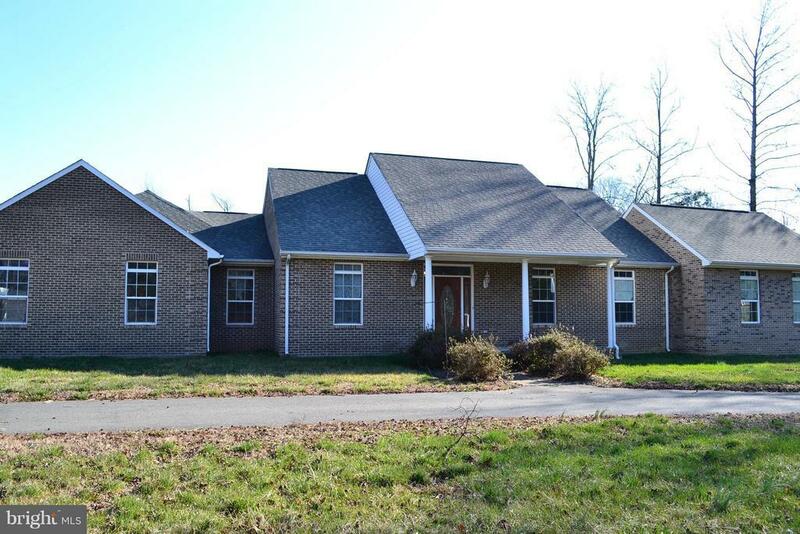 All BRICK ranch home over 3, 600 square feet with attached 3 car garage and detached 2 car garage with apartment above. Minutes to I-95 and Spotsylvania VRE station. Custom built home features hardwoods and ceramic throughout the home. Kitchen with Corian tops, custom cabinets, breakfast bar, huge sunroom, 2 HUGE master suites with sitting rooms and private baths and 1 with attached office. Directions: Exit 118A to Right on Guinea Station Drive to home on left.